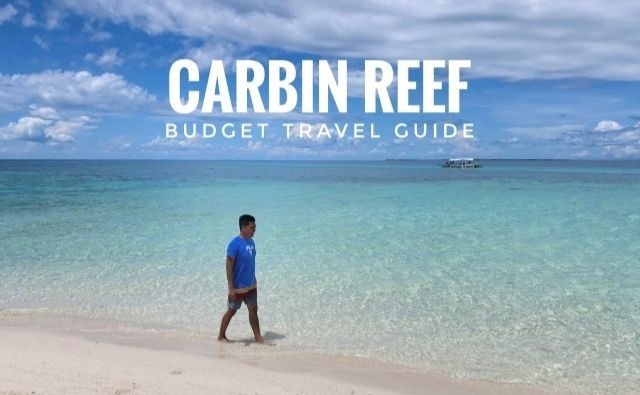 CARBIN REEF TRAVEL GUIDE 2019: How to Get There, DIY Itinerary, Budget, Expenses, and More! 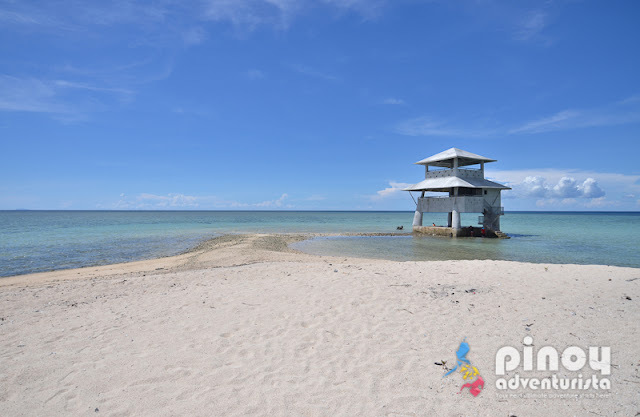 Carbin Reef is a huge sand bar in the middle of a 200-hectares marine reserve off the coast of the municipality of Sagay in Negros Occidental - just 1.5 to 2 hours away north of Bacolod City. 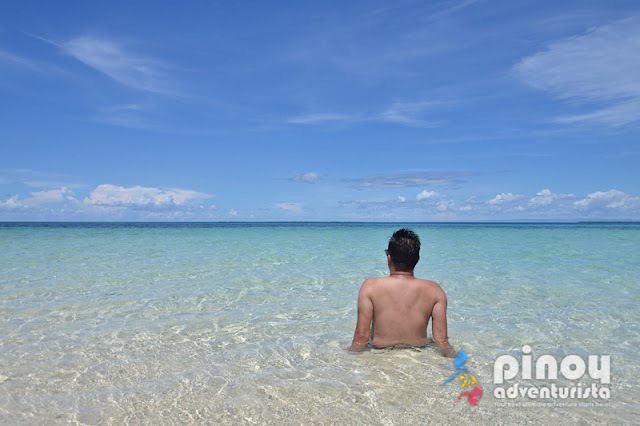 Established in 1983, it is part of the 32,000 hectare protected area of what is called Sagay Marine Reserve. Carbin Reef has clear, pristine and turquoise water that is ideal for swimming, snorkeling, and a perfect spot to get some tan. The area also has several cottages that guests and visitors could rent for day trips. Just make sure to bring all you need - such as food and water - because there are no stores or restaurants in Carbin Reef. Wondering how to get to Carbin Reef? Let me help you. WHAT'S COVERED IN THIS CARBIN REEF TRAVEL GUIDE BLOG? How to Get to Carbin Reef? If you’re coming from Manila or other parts of the country, take a flight to Bacolod, the capital city of Negros Occidental. Flights land at Bacolod-Silay International Airport which is about 30 minutes away from Bacolod City. Make your way to Silay main road and take a Ceres bus bound for Sagay. Alternatively, you can take a taxi or shuttle van from the airport going to Bacolod City and tell the driver to drop you to the North Bus Terminal. READ: How to get in and out of Bacolod-Silay Airport. From the North Bus Terminal, you can take a bus or van to the City of Sagay. Travel time is about 2 - 2.5 hours and fare is around 100-170 pesos. Upon reaching Sagay City Bus Terminal, hire a tricycle that will bring you to the Old Sagay Port or Wharf. Tricycle rental is from 70-100 pesos good for 5 persons. Upon reaching the port, proceed to the tourism information center at the wharf to register and hire a boat to Carbin Reef. 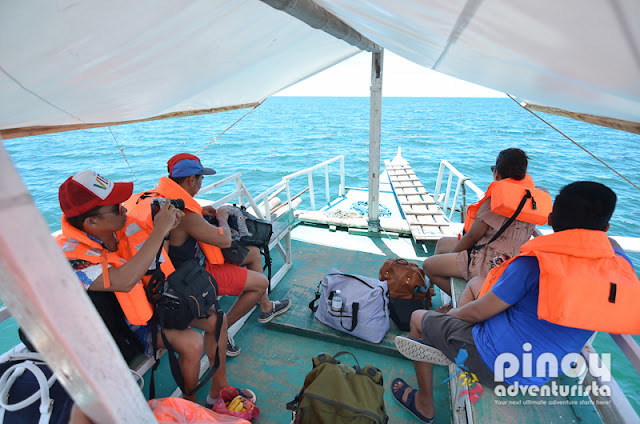 For a boat that could accommodate 1-10 persons, the boat fee is 1,200 to Carbin Reef. For the the other expenses and rates, see details below. Travel time from the port to Carbin Reef is 15 to 20 minutes, depending on the sea condition. Enjoy the sand, the sun, and the clear waters of Carbin Reef! Swimming, snorkeling, sun bathing, picnicking, and other water and beach activities. NOTE: Bring your own snorkeling gears. There are no available snorkeling gear rentals at Carbin Reef. You can also rent snorkeling gears from Buhay Dagat Snorkeling Guides of Sagay Association for PHP 250.00 per day. Ask the staff at the tourism information center where to rent. Food and drinks. There are no stores or restaurants in Carbin Reef. You can also order food for your group in advance. Contact SIETAS Secretary and Kitchen Committee at 0907-396-2199. It so hot in Carbin Reef, make sure to bring coral-friendly sun block and sunglasses. Bring your own snorkeling gears. There are no available rentals at the site. You can also rent snorkeling gears from Buhay Dagat Snorkeling Guides of Sagay Association for PHP 250.00 per day. Ask the staff at the tourism information center where to rent. Water proof your things by securing them in a dry bag. Garbage bag. Organize your garbage and bring them back to the main island. Dispose it properly. Overnight stay is not allowed on Carbin Reef. It is best visited on a day tour. The best thing to do is just stay in Bacolod City where you could find a wide arry of accommodation options. Note: Additional 300-500 pesos if you wish to visit the other islands such as Panal Reef, Maca Reef and Suyac Mangrove Island. Here's a sample Carbin Reef DIY Itinerary. You can adjust it depending on how long you want to stay there, how many are you in the group, and on your preferences of activities you want to do. 12:20 pm - arrive on Carbin Reef, enjoy! This is just a list of the common expenses. You can adjust it depending on where you're coming from, how many are you in the group, and the activities you want to do. There is a limit on tourists that could visit Carbin reef. They only allow 70 reserved slots and 30 for walk-ins. If you plan to visit Carbin Reef, it is best if you call them and reserve in advance. Please refer to the contact details below. 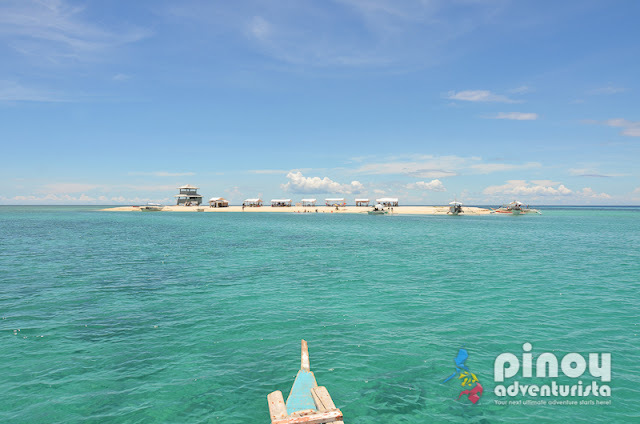 Boat rental to Carbin Reef is 1,200 pesos good for 1-10 persons. For an additional 300-500 pesos you can also go to Panal Reef, Maca Reef and Suyac Mangrove Island. Just ask the staff at the tourism information center for details. Entrance fee to Carbin Reef is 100 pesos per person for non-residents and 30 pesos for residents. Cottage rental is 300 pesos for a small cottage. If no cottage is available, or if you don't want to get a cottage, you can stay at your boat. The boat will not leave and will wait for your until you go back to the main island. Which means, you could also leave your things at the boat while enjoying Carbin Reef. Bring all you need. There are no stores or restaurants in Carbin Reef. There’s no toilet or shower area in Carbin Reef, but there’s a small changing area where you could change your clothes. You can use the toilet at the tourist information center before boarding the boat or when you come back from Carbin Reef. Manage your garbage and bring it back to the main island. For bookings, contact Sagay City Information and Tourism Office during office hours at (034) 488-0649, or the Sagay Marine Reserve Office at (034) 488-0101 local 117. You could also send an email to sagaycityinfo@yahoo.com. I hope this Carbin Reef Budget Travel Guide will help you plan your trip and you'll include it in your itinerary on your next adventure in Negros Occidental! 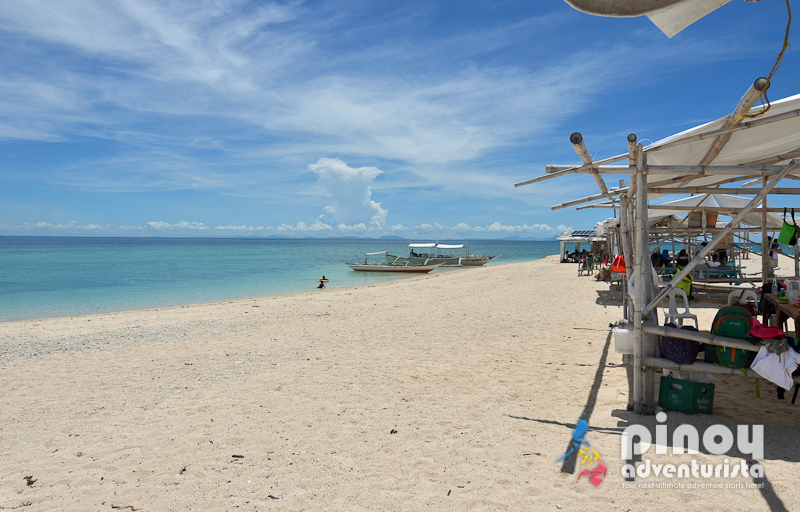 Invite your friends and enjoy the sand, the sun, the clear waters and the awesome underwater treasures of Carbin Reef! Thanks to our friends Pinoy Travel Freak, The Pinay Solo Backpacker, and Lakwatsero for letting us join them on their Carbin Reef adventure!